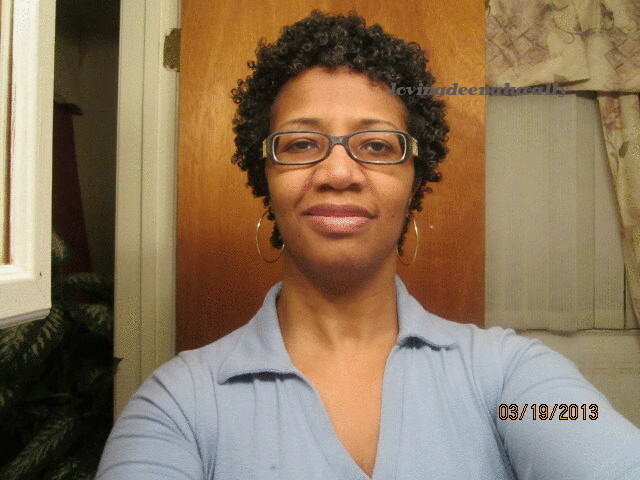 Loving Dee Naturally : Tightly Curly for short hair: Tips for Defining and Separating Curls ""
When I first big chopped I was looking for techniques to use for short hair to define and maintain curls. I just fell in love with naturally curly hair and that's all I wanted; to wear my natural hair curly. I found a lot of information for curly hair for medium to long length hair and even twa but not much for short/in-between length hair. That is one reason I wanted to begin to document my journey for anyone who may be looking for tips and techniques to use in maintaining/wearing their short/in-between hair in it's naturally defined and curly state and also so I could have a record of my natural hair journey. So here are some of my tips for defining and separating curls using the Tightly Curly Method for short hair. You may not need all of these tips so use what works for you. All of these work for me. 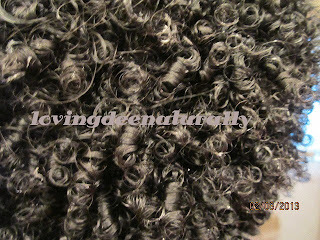 My hair is very thick and as it grows the thickness seems to increase and to be able to manage my hair I HAVE to detangle very well and divide my hair into sections before defining my curls. Another biggie for me is to use a heavy/weighty conditioner. 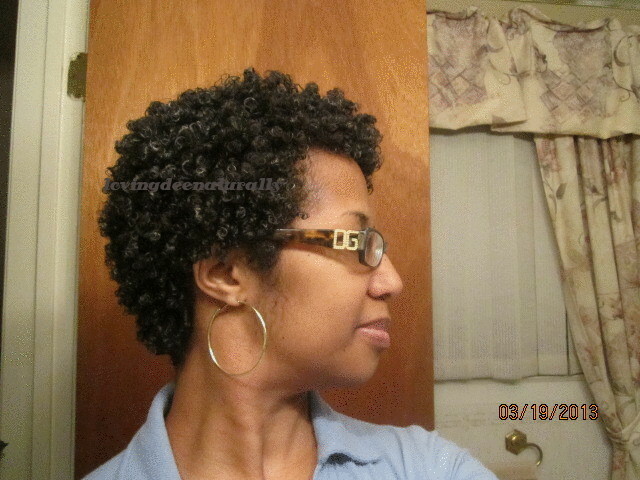 I add products to my conditioner to make it weightier(that's another blog post). Detangle very well first - Since my hair is thick I find it easier to make detangling a separate process from my defining/separating process. This week I detangled before defining/separating. I find detangling prior to defining makes the defining process easier and I can move faster through THAT process. I've also decided to detangle at the sink and not in the shower. It takes too much water. That way I can take my time at the sink and detangle thoroughly instead of rushing through it trying to get out the shower. 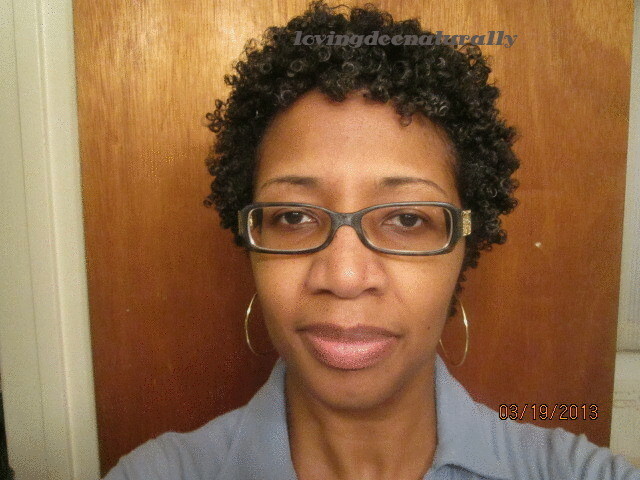 Use heavy conditioner with excellent slip - I love mixing things and experimenting with as natural products as I can find. I used my trusty Tresemme Naturals(softens my hair and provides excellent slip when mixed with water) with Tigi Bedhead(nice, thick conditioner) with a little Giovanni 50/50 Balancing(just to try it out...thick conditioner also) with about 2-3 drops cold pressed castor oil(experimenting with it and it is thick and adds weight and emolliency to conditioner and hair). I also added about 1/8 cup of aloe vera juice as a ph-balancer. Hair that is ph-balanced is less likely to frizz b/c the cuticles are flat and closed. Section hair - I find as my hair is getting longer I have to have a mechanism whereby I can still maintain control of my hair and I'm able to keep my hair from becoming unruly. Sectioning my hair and putting them in twists prepares my hair for the defining process or for whatever styling I want to do on my hair. Also, binding the hair (in twists/brands/ponytail holders) keeps the hair from drying out before I get to that section and allows the conditioner to penetrate and soften my hair even more. 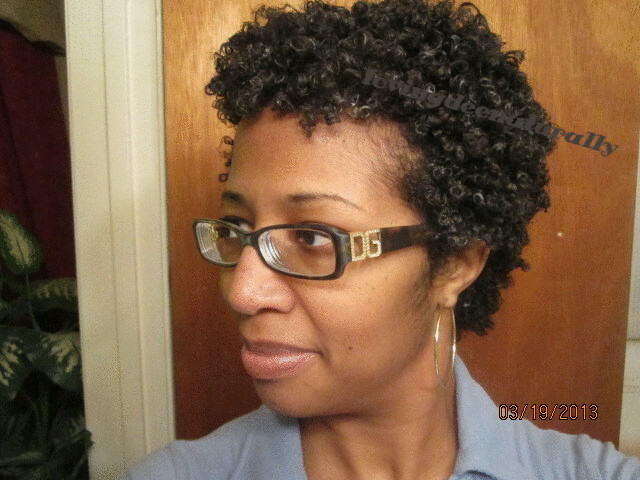 By the time I get to each section, my hair is soft, malleable, and curls are clumped. I've chosen to keep my hair in twists b/c twists are the easiest to take out when it comes time to work with each section. Practice - This sounds like a funny tip but I wanted to include it to say that the more you do this method on your hair the more "trained" your hair will become to curling in it's own natural curl pattern. 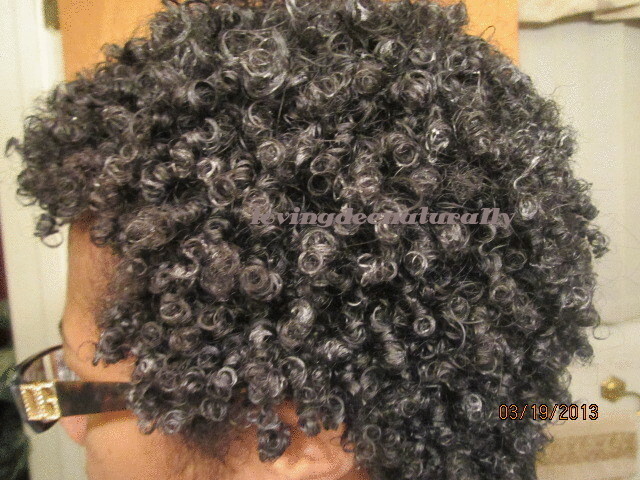 The more you do this method your natural curl pattern will be "reinforced" so to speak. The more you do it, the easier it will be. Pay attention to the ends of hair - As you go through each clump of curls take the time to smooth them from close to the root all the way to the end. There may be times when you may feel some roughness on your ends. Don't rush through and leave those rough ends take the time to smooth, smooth, smooth them. 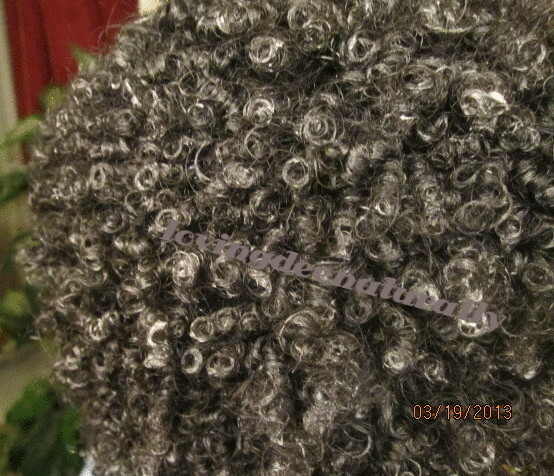 Sometimes your ends may begin to dry out as it takes time to get to all sections of hair. Just keep a spritz bottle with water and spritz your ends. You may need to add condtioner and continue to smooth, smooth, smooth until you feel that clump of hair smoothed out and curling on its own. If your hair is too short to just smooth it down you can twirl the strand around your finger to make a coil/doodle. Don't rush - Plan your time accordingly and set aside the time you will need to give full attention to this accomplishing this process on your hair. We all know how to plan/set aside time for our cleanse/deep condition routines. Just do the same for this if you decide to do this method on your hair. I don't do this routine every week b/c there are some weeks I just don't want to put in the effort/take the time to do what it takes for this. But that only lasts for about 2 weeks at the most, it seems. I start to miss my tightly curly curls and when the desire strikes I plan the time it takes into my regimen and I love every minute of it. When I plan accordingly and don't try to rush through it's a pleasure and not a chore. 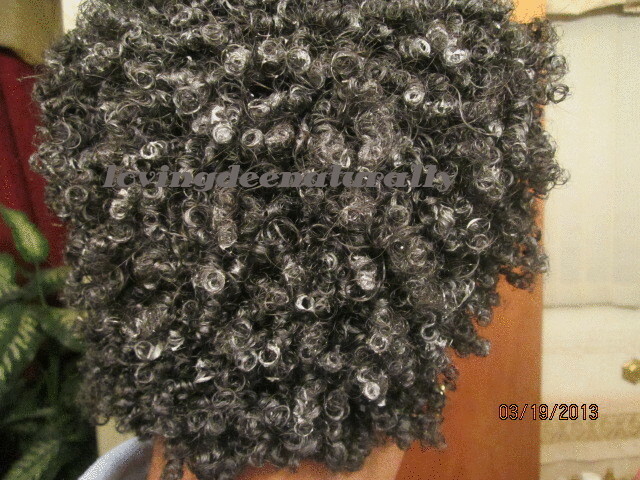 Smooth already clumped curls - The goal is to separate curls in the way they naturally want to clump. 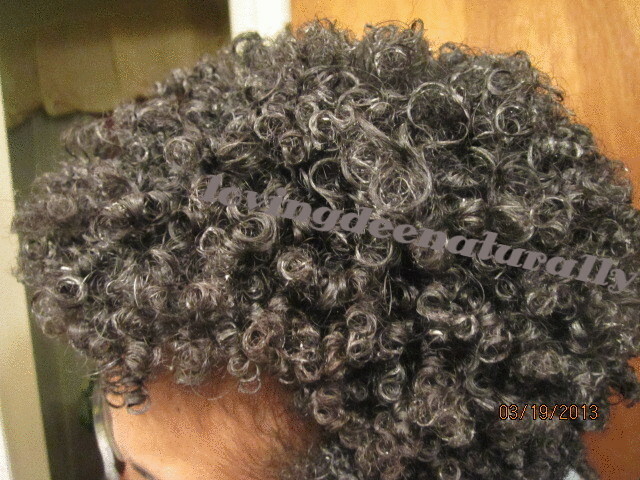 Your curls are going to clump the way they are naturally and genetically designed to clump/curl. I find my style turns out better when I just work with the way my hair clumps and not against it. There are sections of hair that may not clump as easily as other sections. In those cases I section my hair into small clumps myself and smooth it until I feel the strands are smooth between my fingers and then twirl the ends around my finger to help them stay together. Smooth single strand knots - I run into these, not many though. The suggestion in Teri Laflesh's book is to clip them but I never have. 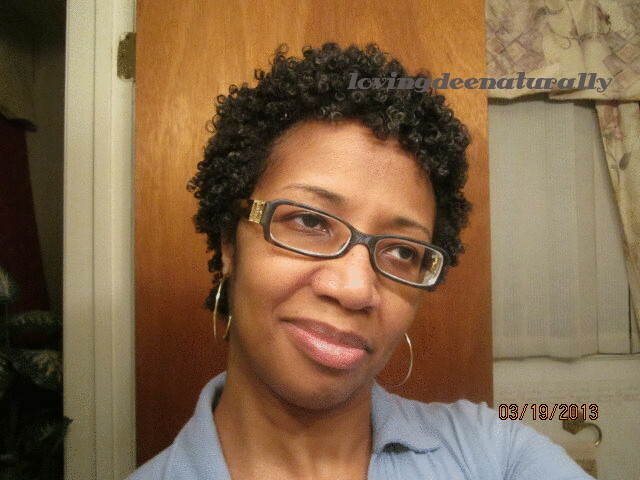 What I do is smooth more conditioner or conditioner/water over the whole strand concentrating on the knot. As I smooth more conditioner the knot gets soft and I can eventually separate my strands out of the knot and the knot ends up "melting away" under sufficient conditioner and water. Apply enough conditioner - Conditioner is the medium whereby our hair is detangled sufficiently. It is also the medium that encourages our curls to clump together(with sufficient smoothing and raking). Apply enough conditioner and water until conditioner foams begins to foam. I use the excess conditioner that comes out in the foam on the other sections of my hair. It may also look like you have too much conditioner in your hair but as you smooth each clump of curls your hair absorbs what it needs and the excess is smoothed off of the strand. Well, that's all the tips I have for now. Hopefully some of these can help you in condition-styling your hair. Even if you are not following the Tightly Curly method these tips can be used to care for your curly tressess in whole or in part. Additionally, here is a video that gives a visual of how I go about defining my curls using Tightly Curly method. Here are some more pics(as well as those above in this post) of my results just this week. Hey Kimberlee! Thanks for reading. No, I've never heard of The Breakdown regimen...I'll have to look it up.